You don’t want a big guy wrapping his arms around you and taking you to the ground. 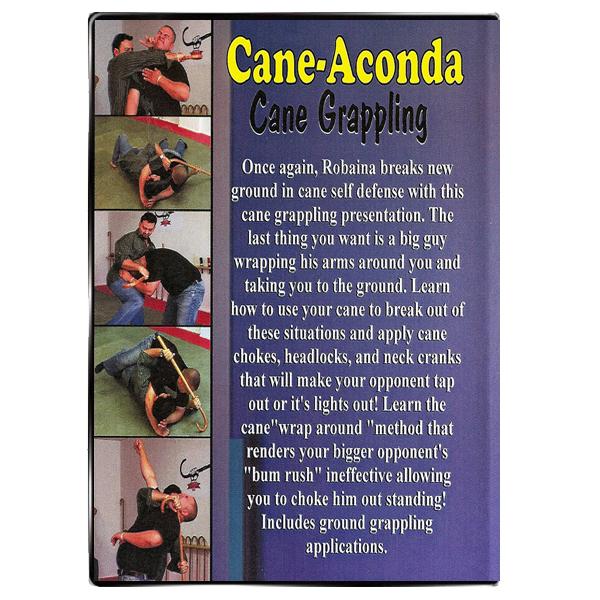 Learn to use your cane to break out of these situations and apply cane chokes, headlocks and neck cranks that will make your opponent tap out or it’s lights out! Click below now to get immediate, lifetime online access. 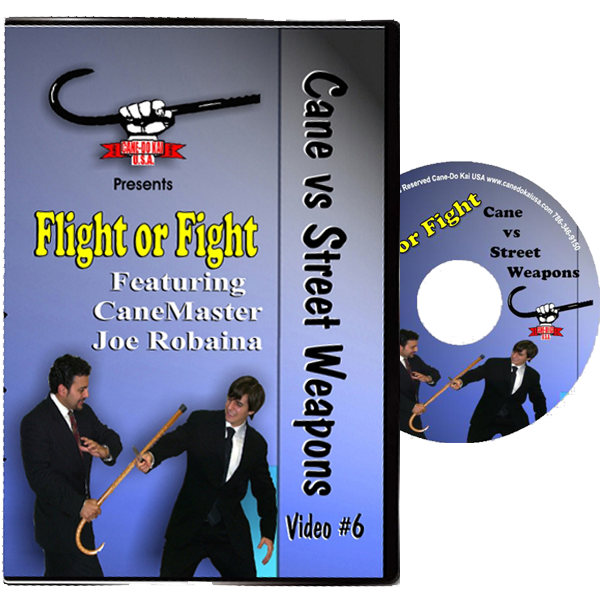 Once again, Robaina breaks new ground in cane self defense with this cane grappling presentation. The last thing you want is a big guy wrapping his arms around you and taking you to the ground. Learn how to use your cane to break out of these situations and apply cane chokes, headlocks and neck cranks that will make your opponent tap out or it’s lights out! Learn the can “wrap around” method that renders your gibber opponent’s “bum rush” ineffective allowing you to choke him out standing! Prefer the DVD? Click here!